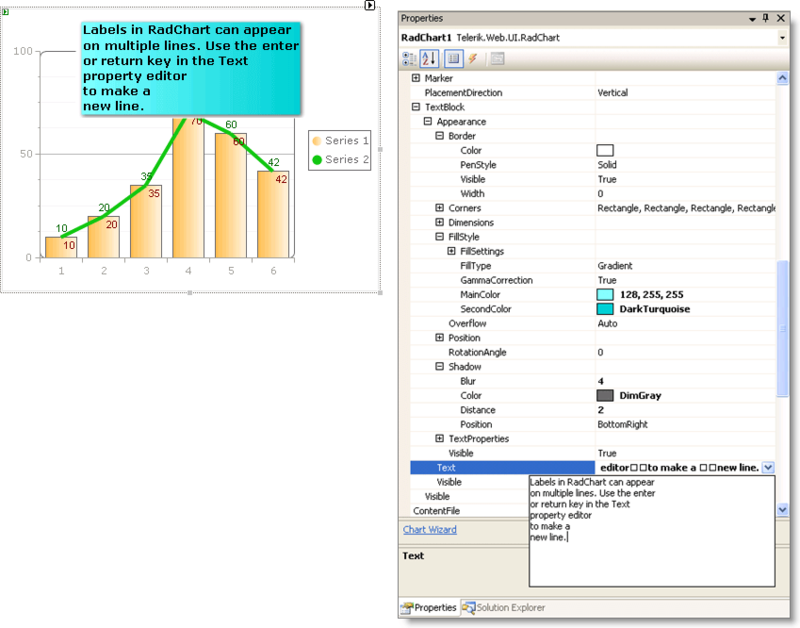 Labels in RadChart can appear on multiple lines. The property editor for TextBlock.Text properties allows you to hit the enter key to start a new line. Press control-enter to accept the text and close the property editor.